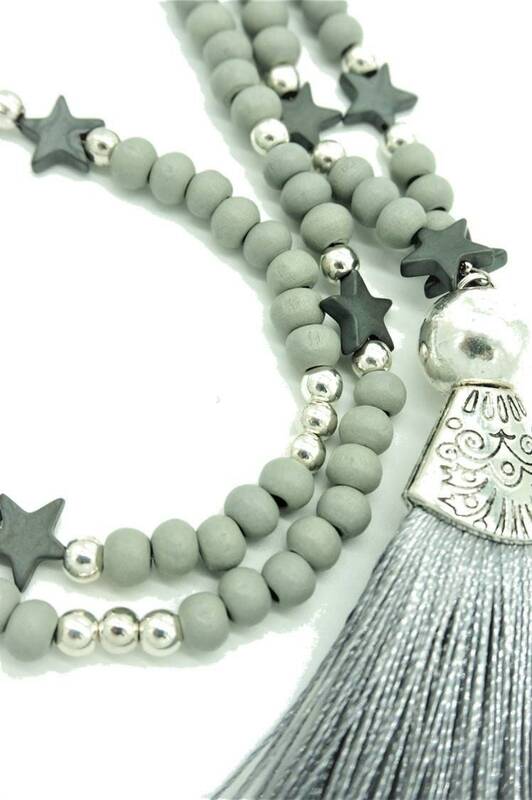 Grey mala necklace with hematite asterisks consisting of various mats and shiny pearls made of silver metal, grey wooden beads and the dark grey asterisk from hematite. Eyecatcher is a large silver metal ball bead, on which the approx. 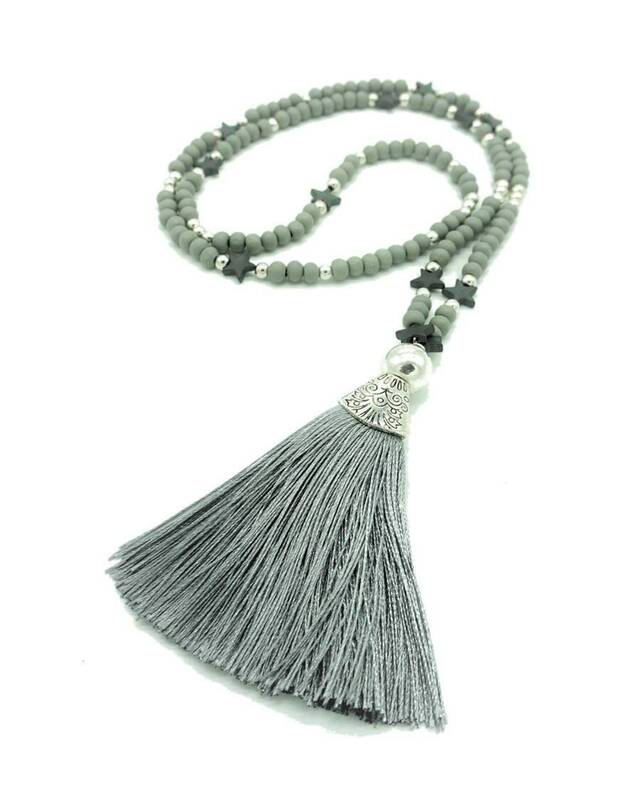 8.5 cm long grey shiny silk tassel is located. 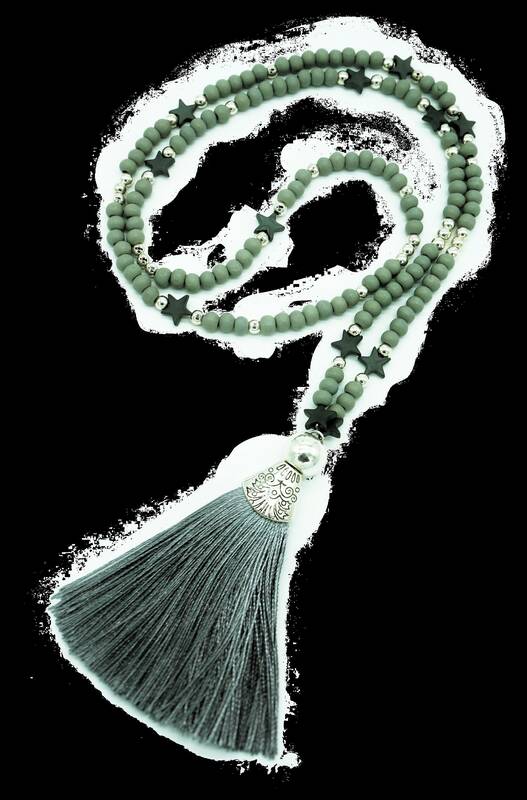 The chain is up to the tassel 44 cm long (total length 88 cm) and with the tassel approx. 53 cm long. This handmade unique item is shipped as a gift wrapped in the organza bag.